Digital Lab Produces High level of digital Handcrafts and Special Commission. Zhoujie has two fundamentals rules when designing all his products. The first one is to respect the digital and logical rules and design without anticipation; the other one is to give as little control as possible. 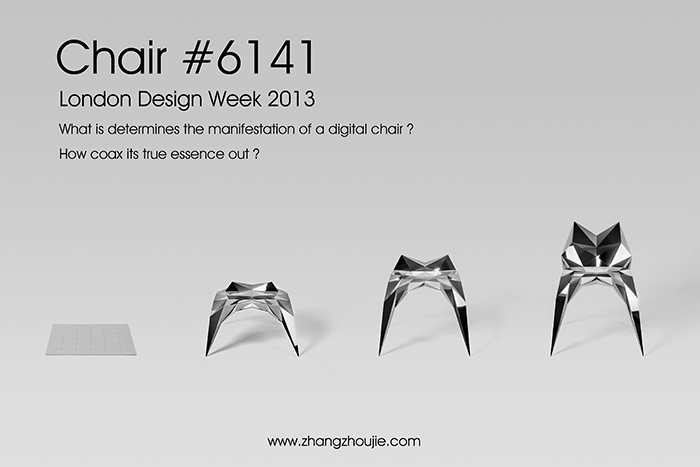 This digital chair is a perfect practice of Zhoujie's design rules. Zhoujie believes that design should be spontaneous, like poem and emotions. It should be the natural reflection of acknowledge an understanding of the world. As for the chair, it should be naturally looking, to be the way it should be without affectation. 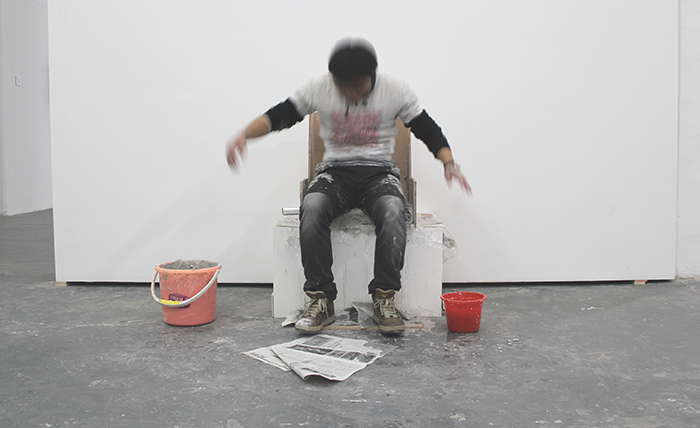 Building on his design philosophy, Zhoujie designed the chair without limitations and thousands of possibilities came out. Zhoujie thinks that computer should play a much more important role in design. 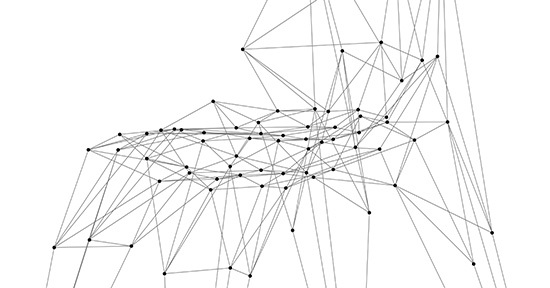 Designers can set the constraints in computers and allow it to think and design by itself. It is a kind of artificial intelligence, and it is very exiting to see what artificial intelligence can design. 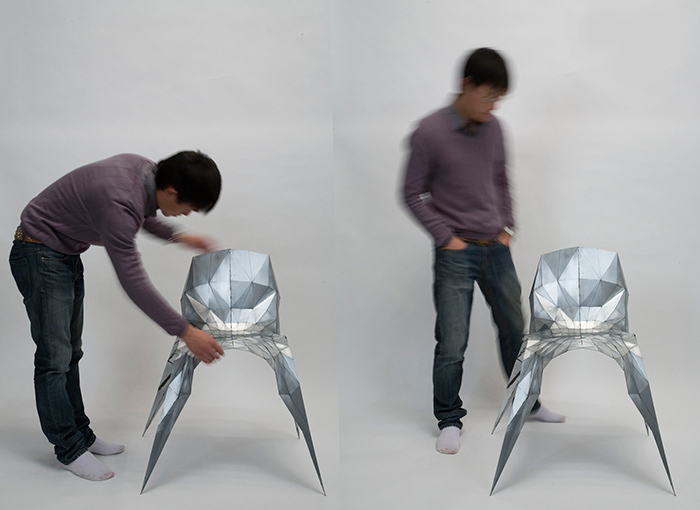 Zhoujie gives it a shot and here comes the triangulation chair . In the future, we can even imagine that computer could design something people have never think of, and succeed human design in some levels. Computers' quantitative skills and sensitivity to external environment is already better than human, when coming to design, Zhoujie wants to see the possibilities. The reason behind it is that, designers used to design for tens of thousands or even millions of customers, but nowadays, people wants to have designs for themselves. A compromise is that, products have different sizes such as S, M, L. But these doesn't have to exist if all the designs for tailored only for one person. Without computers, designers can't achieve it. For the Chair, Zhoujie tells the computer of some basic math logics such as movement of points. 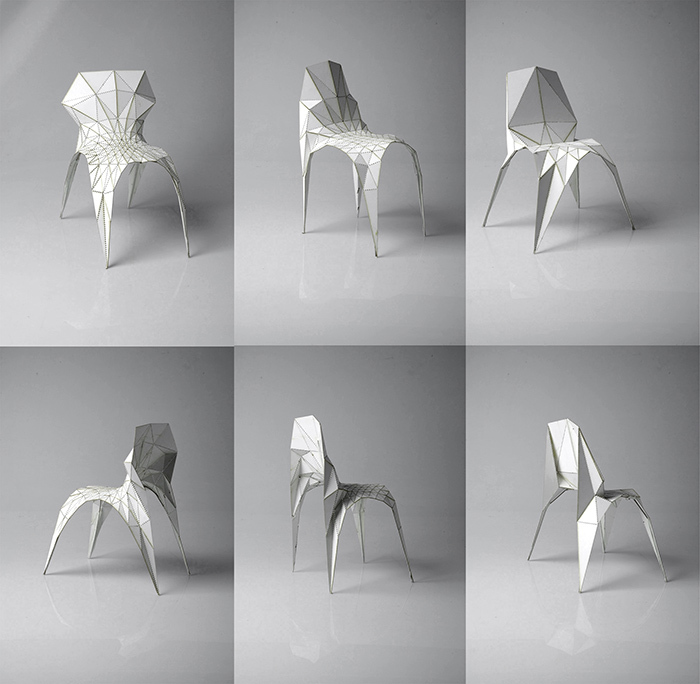 With the logic and dimensions Zhoujie set up, the chair grows from a 2D plane into 3 dimensional. 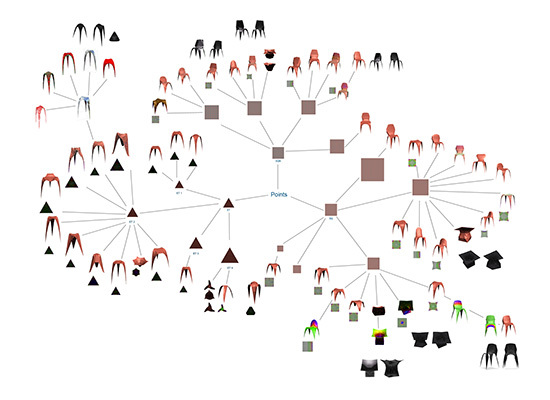 With the different level of freedom, the chair grows into thousands of different forms, and the body will fit exactly as the body of the customer. As constrain of current technology, customized products have very demanding requirements and the output is very small, so Zhoujie can only provide a limited number of products. Thus, the chair is limited edition only. 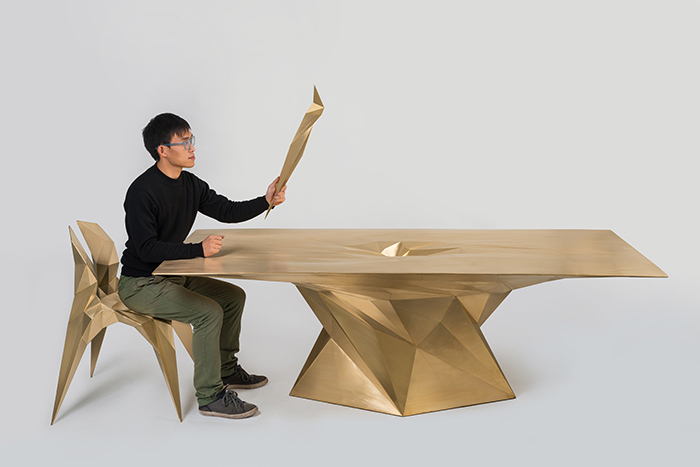 Zhoujie is the first Chinese Designer to be invited to Milan Salone Satellite, Cologne IMM and 100% Design London, to represent represent young Chinese designers in the highest design stage of the world. Collectors' support is needed to make this project happen. For the future, Zhoujie will keep developing this concept and apply it to different products. In a long term, Zhoujie would like to see his design concept to promote industrial development at a certain degree, and to stimulate designers who are still doing industrial design a bit. 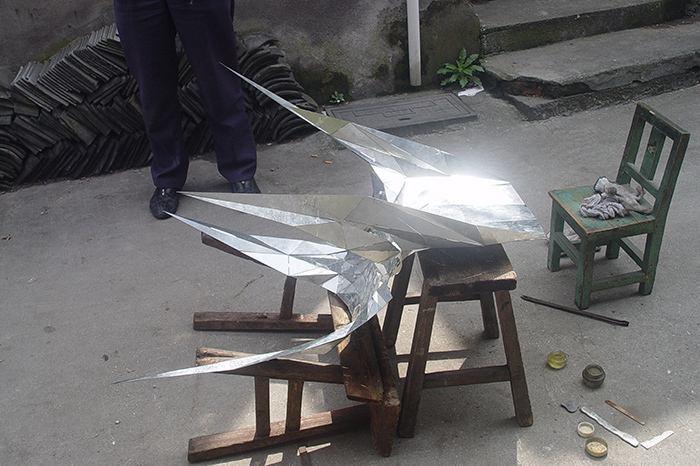 Zhoujie has uncovered how future design is like, now let's welcome it and see what will happen. 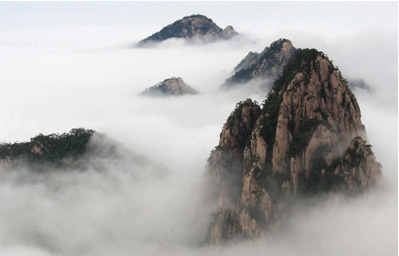 Inspire many important laws from the Taoism philosophy school. Nature Things are constantly changing and unpredictable, we never could capture the true nature but just a still moment, Thus he has established his own design philosophy. · Respect the mathematics and logic law of digital environment. 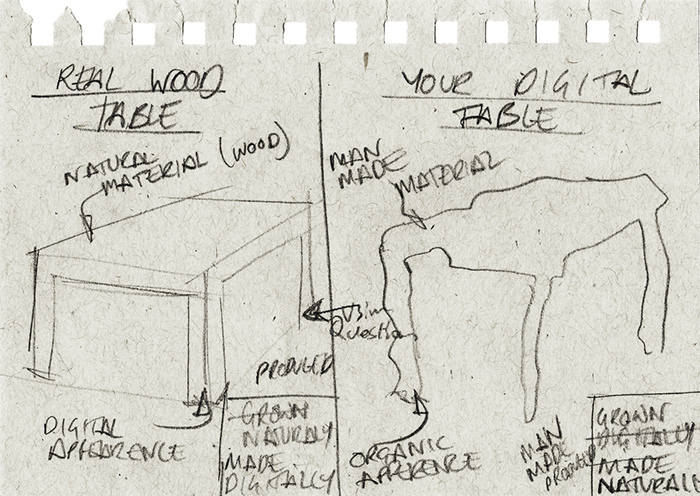 · Generating objects by following the law of digital environment. · The interference and intervention should as little as possible. · Reduce any unnecessary elements in the whole design process. · Keep the potential and imaginary space. · Reveal the true property of materials, no painting and pretending. 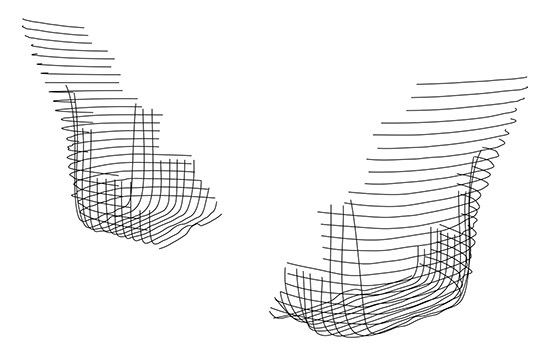 As a visiting researcher in AA school, Zhoujie was fully influenced by the movement from Parametricism,the new technology allowed him to Realize using computer to generate items. There are strong link between Taoism Spontaneity and Parametric practices. Improvement and Progress in Shanghai Studio.